ROB – A plumber working on the new World Trade Center buildings. He came out to walk with a sign at the park on his lunch break. He is in the Local 1 union. DOREEN - She is 66 and lives at the Fulton Senior Center in Chelsea. She has just come from housing court over a dispute with the city over rising rent of her public housing. She is organizing elderly and disabled folks in her center and in their community to come down next week to support the occupation. ROBERT - From Harlem. He heard about the occupation on the radio and he and others from Harlem have begun mobilizing to come support. ANTHONY - A Longshore worker with ILA Local 1588 in Bayonne, NJ. He has come to support the \occupation and to try to mobilize more ILA members and longshore workers to participate. He is also part of pushing the ILA to take on more social justice issues and he fights against corruption in the union. EDDIE – A World War Two veteran, he says the social movements of the 1930s pushed the government into providing more support for working people, and that we need similar changes today. UNNAMED - She is 19 years old, a student from Buffalo, NY studying in the city. GIL - Born and raised in Brooklyn. 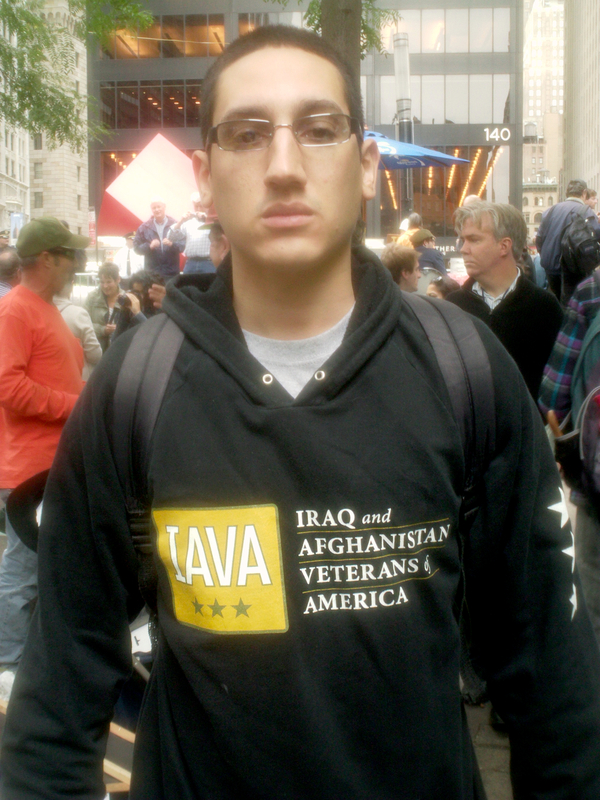 An Iraq veteran who served in the U.S. Army. 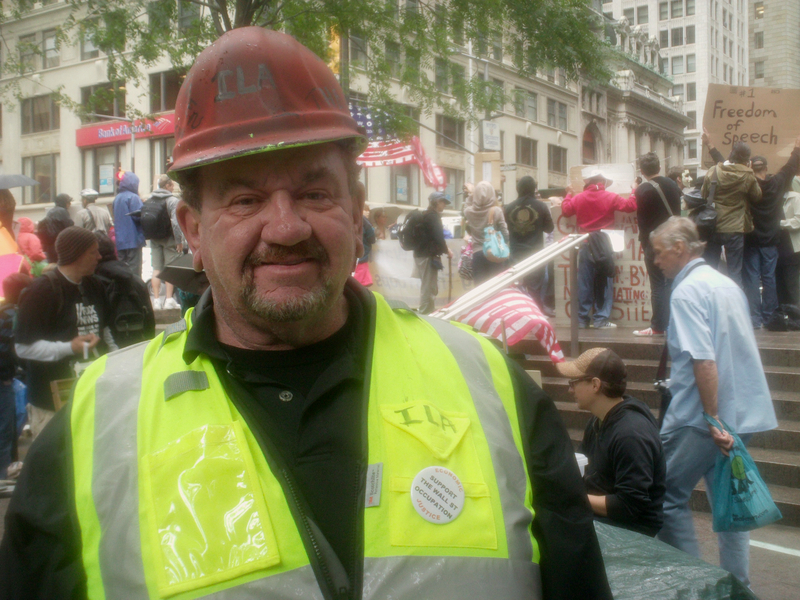 ALAN - A 48 year-old born and raised in New York, he is a shop steward porter with SEIU’s 32BJ. He works in Midtown Manhattan. Ryan Harvey is a Baltimore-based independent journalist and grassroots historian. His writings are posted at his blog, Even If Your Voice Shakes . He is also an organizer with the Civilian-Soldier Alliance and a member of the Riot-Folk musician collective. Mayday Rally: Support the Sheraton Workers! Occupy Wall Street + Troy Davis + Slutwalk=?? Illuminating Baltimore's Hidden Histories With Occupy-Offshoot "Greenpants"